I've finally started my Castles In The Air from Papillion Creations. It took me longer to pick my own floral colours than anything else. I started stitching it and then changed my mind on the first colour and frogged it all to start again! There are some amazing designs on Papillion for anyone who hasn't come across them before. I'm so enjoying stitching this and hate to put it down. This is my progress so far, the photo isn't very good as my hand shadows the bottom corner...oops! I've also finally started my Mary Wigham sampler. I was going to do this in my own colours but after seeing a few of them done in Mary's original I've decided to go with her colours. Although I'm not doing it as small as hers because it'll mean stitching over 1 and these eyes no longer like that LOL! I'm stitching it on 32ct Murano in Mushroom. If you're interested in doing your own Mary Wigham sampler just click her name and it will take you to Needleprint's website who have it...it is a free of charge chart but they do ask for donations if possible. 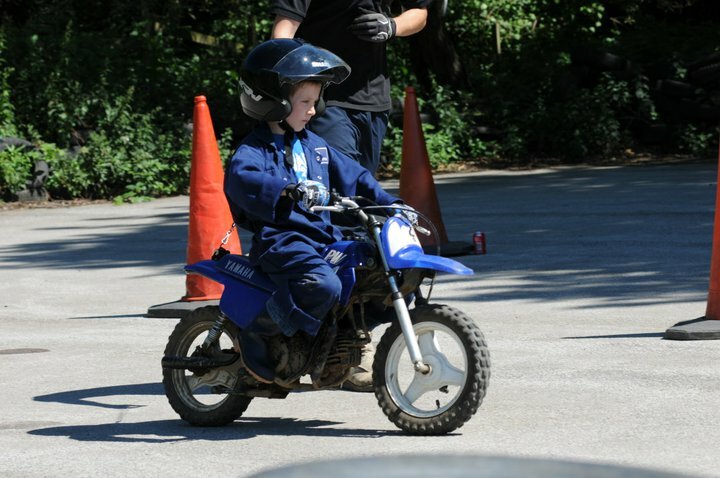 And I couldn't let a post go without a photo of DS1 at his last motorbike lesson, can't believe my baby is 7 in 28 days time. It was so hot during his lesson last Sunday that DH went and bought his instructor a can of ice cold coke and DS1 a Calypso half way through. He's coming on leaps and bounds in his lessons and adores them....yep my boys don't have blood in their veins as now DS2 can't wait until he's 6 to start lessons LOL! Jo, Your CITA is going to be beautiful! And I can't wait to see more of uou Mary Wingham! Thanls for sharing! 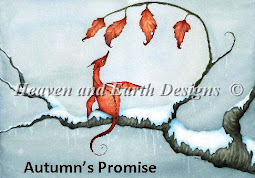 Thanks for sharing cross stitch pics. Your son is about the age of my Kyle, 8. Lovely progress on both, Jo! Your stitching is so neat. Darling little boy! I miss those days. I like your choices for CITA, I struggled with my colors too. I had Vicki pick them....from Hand dyed fibers. Mine are all silks, although you can't tell by looking. I haven't gone past the peacock fountain part yet. Your sampler looks pretty too. Your CITA looks great haven't started on mine yet and your MG is also looking very nice. Your son looks so nice in his uniform. Saw your link on Stitch Specialists...your CITA is lovely. I actually saw Melissa's today and went straight to Papillion and downloaded all the charts. I won't get to it for a while, but it WILL be stitched!